To succeed in retail, you have to place your enterprise POS investments at the forefront of your brand. In this new digital consumer age, it’s a simple concept that your technology platform is the primary connection to the ever-more connected consumer. 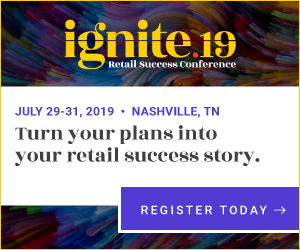 Your point of sale must now become a “Retail Success System” – an end-to-end, unified platform that will drive your grocery business to the next level of operational performance and consumer connectedness. You need a software solution that will give your brick-and-mortar locations a competitive market advantage against emerging online grocery retailers and delivery services. POS is no longer just an IT decision; instead it has become a fundamental building block to long-term success. Your POS choice is a strategic, executive decision that will drive either the success or failure of your long-term viability. Considering the importance of this decision, you might think picking a new provider is quite an undertaking – we don’t think so. We looked at all available data and realized there are only 10 questions that will provide the results you are looking for. 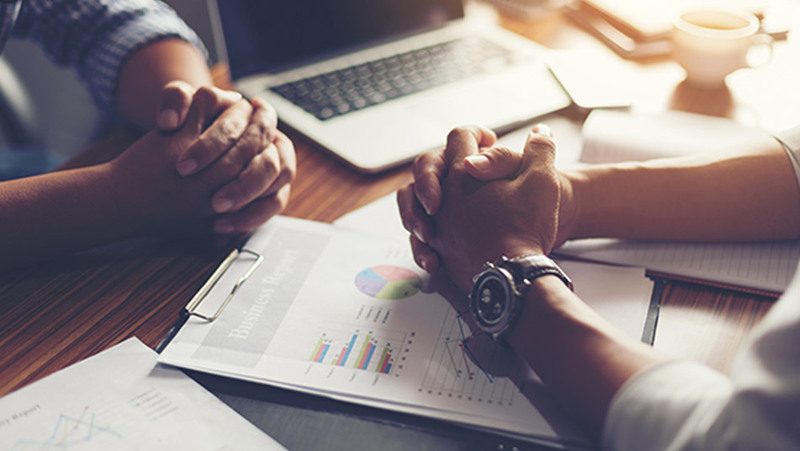 Before you sit through hours of Powerpoint slides, watch numerous demos, and gather pages of data, please take a few minutes to review these 10 critical questions that you need to ask every potential POS vendor you speak with. 1. Does the company you are speaking with offer you cash register technology or a grocery success platform? As a professional grocer, you have a choice: (a) invest in a grocery technology that is just some feature/function upgrade of what you already have or (b) partner with a firm that specializes in working with you, in tandem, as a strategic partner. POS systems are the central operating platform that proactively manage customers, cashflow, products, security, and labor management. It is the operational hub that drives retail success or failure. Selecting the right partner is a key business driver that must be carefully evaluated and then managed. 2. How long has the company been in business, what is their current debt to profit ratio, and what is their future outlook or vision? The long-term stability of a technology company is vital to your long-term success. Let’s face it, deploying a new enterprise system comes with new expenses, processes, interfaces, and an adjustment period. The point is, it’s not something you can afford to do repeatedly. Key indicators of the long-term viability of a POS company include a strong, sustainable business history which is independent of burdensome debt or even demanding equity investors. Finding the company that has a defined product vision to provide your retail enterprise a competitive age is even more important. 3. Are you purchasing a unified platform that will tie together the majority of store systems, platforms, and services? Or will you still have to rely on multiple third-party vendors, customized code, and integrations? By running all store operations from a single, unified commerce platform, your system will perform better, produce more accurate data in real-time, and improve the user experience for both consumers and staff. You can also reduce the operating and maintenance expenses that result from managing multiple vendors. IT administrators will appreciate having a single platform from a single vendor to support for the entire enterprise system. Customers will enjoy a seamless transaction experience whether they are shopping online, in the store, or enrolling into the store’s loyalty program. 4. Are you purchasing an out-of-the-box retail system built upon years of best use practices or signing up for a “solution” requiring a multitude of one-off customizations which lead to increased costs? An ideal provider builds feature sets and new functionality into their system which are then immediately accessible by its entire retail client base, not just a single client. The advantages of this approach include ever-expanding system capability and delivery at a fixed yearly cost, allowing retailers to stay one step ahead of their competitors. 5. Does the system offer direct payment connections with EMV certification? What about point-to-point encryption and PA-DSS compliance? Are you forced into a specific payment service? Direct POS integrations to credit card processors offer added reliability because there is no gateway or middleware required to process the transaction, meaning one less point of failure. EMV certification is also an important part of this, as retailers are increasingly being hit with chargebacks if they do not have a certified EMV system in place. In today’s world, it seems that any networked system can, and most likely will have attempts to, be hacked. It becomes apparent quickly that P2Pe (Point-to-point encryption) payment authorization is a key function that every retail leader should demand from their POS provider. Many of the large cardholder breaches could have been avoided if management would have simply insisted on P2Pe at the POS. Not so ironically, many of these retailers now have P2Pe in place – a lesson learned the hard way. In order to get the best transaction rates for your business, it is also important to have the option of more than one payment processor. The ability to “shop” processors will drive your transaction costs down. Remember, processors want your business, so you want to be able to use their competitors as a way to make them work for it. And don’t forget about industry requirements – in order to meet PCI-DSS compliance, your selected vendor must be PA-DSS certified. More information on PA-DSS certification can easily be found on the PCI Security Standards Council website. 6. Does the system offer direct, U.S.-based support with complete transparency and web access? When there is an issue, your IT staff needs to be confident they will receive prompt, knowledgeable, and friendly support with a single point of contact. Each POS company you consider should have a U.S.-based support team, available when and where you need them, with complete transparency into their processes and issue resolution. It is also important for them to provide a published Service Level Agreement (or equivalent) so that expectations are clearly defined up-front. An online ticketing system, with complete past and present ticket views, allows your IT staff to easily reflect back on past issues and follow updates on new issues as soon as they happen. 7. Is the system sold through a third party or available directly through the software developer? If you can purchase your system through multiple channels, it’s important to make sure you can get reliable support through those channels as well. A third party reseller might be a closer point of contact, but are they reliable? That will depend on their own relationship with the POS provider. Look for a POS provider who is able to directly support their software or who works only with trusted partners. If you’re working with a third party rather than purchasing direct, make sure they have established a high quality relationship with the POS provider and can provide you with references of satisfied customers. 8. Does the implementation plan generate a path to success? To ensure a successful implementation, you should be provided a clear plan and dedicated specialists to help your team along the way. A successful plan includes project management, training, consultation, database coordination, installation, and follow-up. Modern systems are complex and you do not want to waste your investment by missing value the system provides because an organized implementation plan wasn’t in place. In addition, make sure you are able to see other live installations that were implemented successfully and ask that your vendor provide a reliable track record with past customer case histories. 9. Is ongoing training, success consulting, user conferences, additional resources, and support available (and affordable) after the sale? What about turnover, how much will it cost to train new staff? Even though you may have an internal IT staff, your store system vendor should provide affordable ongoing support, training, and services throughout the lifetime of your partnership. Verify that your POS provider has on-line training and certifications in order to keep your training costs manageable. Remember, your POS vendor should continuously provide value to your organization – not just with technology, but with its people as well. This will help address turnover issues within your organization, manage the implementation of new features & functionality, and produce the greatest ROI for your business. 10. Does the system allow you to maximize consumer engagement and capitalize on new opportunities? Today’s digital-savvy consumers, more than ever, expect technology-enhanced conveniences in their shopping experience. Some customers love self checkout, some hate it, some rely on online purchases, and some don’t even know how to turn on a computer. The point is, it’s up to you, and your technology provider, to make everyone happy or risk losing relevance and market share. When you hear the term omnichannel, it really just means the ability to streamline transactions across multiple customer transactions points. This can empower your enterprise and elevate you above competitors – both brick-and-mortar and online. Digital loyalty programs, membership management, consumer data analysis, social media interaction, click & collect… these are all must-haves in today’s retail world and the only way to bring it all-together is with a unified software solution. In conclusion, these questions are meant to be asked so that you can ensure you are getting a system that will propel your profits and generate continued success. When choosing your retail commerce platform, sales pitches and presentations are one thing, but it all comes down to the delivery of a system that actually performs in high volume, complex retail environments. Remember to complete your due diligence, and always ask for references. Best of luck in your search and continued retail success! 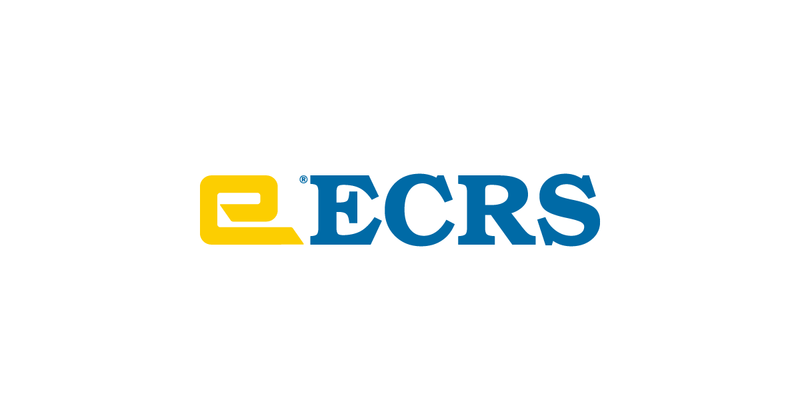 ECRS is committed to following the retail industry, evaluating what is going on, and then offering our insights, tips, tricks, and directional statements through our online resource library. Can Grocery Retailers Cash in on Black Friday? Ready to revolutionize your retail operation? We're growing our retail success community and helping our partners crush their commerce goals with CATAPULT. Reach out to us and learn how you can give your customers an experience that will keep them coming back. © ECR Software Corporation. All rights reserved.